“I can’t think. I can’t sleep. My life is a mess. I used to have a great life, but now its all fallen apart. Ever since the accident, I just haven’t been the same.” – Sarah – received a TBI in an auto accident. Think about it….Every thought, every emotion, every behavior we have is a result of our brain. This amazing instrument is the source of our personalities, hopes, and dreams. Our brains allow us to be who we are. So when the brain becomes injured - through trauma, disease, infections, or toxins, it is unable to work correctly. Your life can fall apart before your eyes. 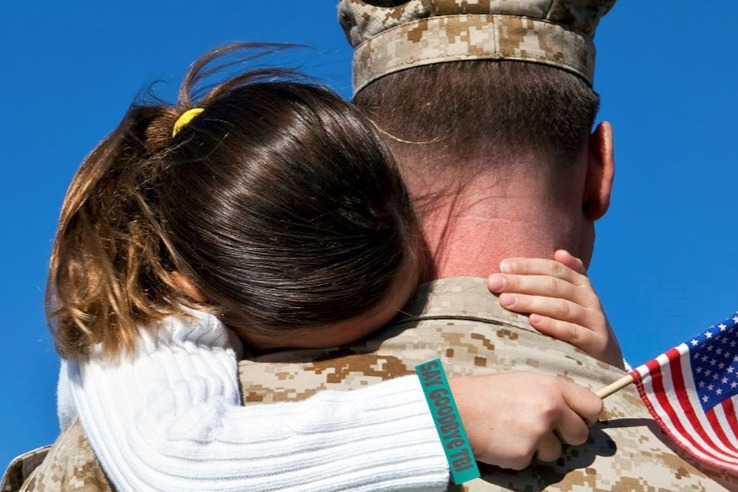 Most of us have known someone who has suffered a concussion or Traumatic Brain Injury (TBI). Often, these individuals have long-lasting consequences from this neurological trauma and they may feel as if they have no control and no hope for recovery. TBI affects millions of Americans and tens of millions worldwide. But, not only are the victims of TBI affected. Their families and children may find life is turned upside-down after the TBI. TBI can be the result of motor vehicle accidents, recreational sports accidents, or competitive sports accidents. Most poignant, is the 300,000 or more Americans who fought for the freedom and security of our great nation and suffered a brain injury during active duty. The Department of Veterans Affairs (July 7, 2016) admits that an average of 20 veterans die each day from suicide. These brave men and women who served for their country suffer from hidden wounds – traumatic brain injury and PTSD. 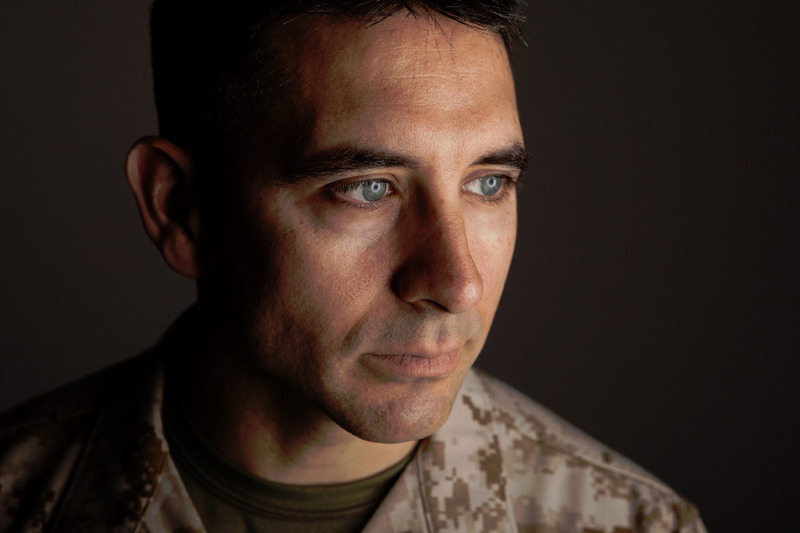 They are told there is no effective treatment for traumatic brain injury (TBI) or they do not seek treatment out of pride or the sense of fortitude that every soldier learns. TBI has changed their lives forever. The injured deserve a medical community devoted to their healing and they especially deserve a treatment that works. Recently, an expert on concussion, neurologist Robert Stern stated, “There is no drug, no pill, no vitamin, no exercise, no behavior training, no oxygen chamber, to treat concussion or Traumatic Brain Injury -- Nothing!” He missed one bright spot from the latest in science and the world of Medicine…. He missed the power of light!! But not just any light - light in the near-infrared spectrum. This is light in the wavelength range of 600-1000 nanometers which humans cannot see. And two recent studies show it’s the same light that can penetrate scalp and skull to reach the brain. Perhaps the most exciting finding is that infrared light can stimulate the energy production and repair processes within brain cells to help the brain recover from brain injury and stroke. 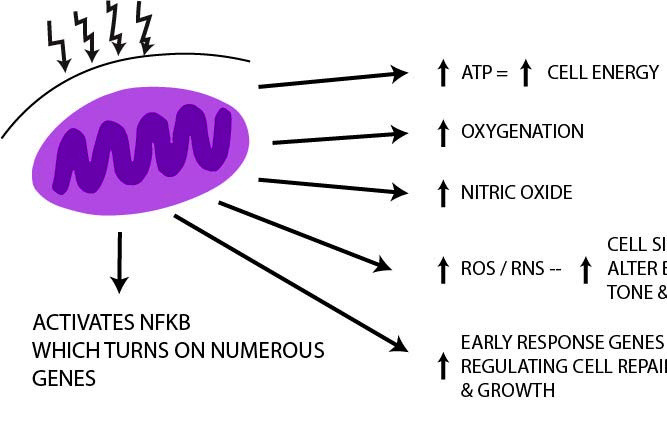 Infrared light can activate mitochondria, turn on hundreds of genes, and increase the production of neurotrophic factors, such as brain-derived neurotrophic factor (BDNF). These are the brain’s own natural healing chemicals. Using a high-powered, multi-watt near-infrared light, survivors of traumatic brain injury now have a viable treatment with proven success, where previously there has been no hope. Every dollar contributed to the Neuro-Laser Foundation through this site goes to support research and subsidize the treatment of Veterans and First-Responders with TBI. Your donations are tax-deductible and you will receive a thank you letter which documents your contribution. Our current patients include football players, soccer players, World-Class competitive skiers, hockey players, men and women of all professions, and of course, First Responders and Veterans. Most patients receive 10-20 treatments usually over a course of 6-12 weeks. Treatments lasts about 24 minutes and are painless. 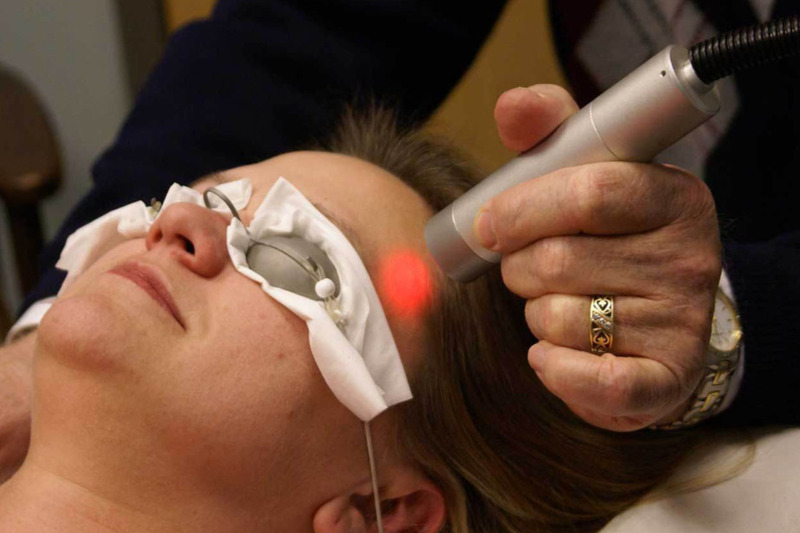 During a treatment, the infrared laser feels like a warm breeze on their skin. Over the course of treatment, typically after eight applications, patients begin to experience relief from previous symptoms related to TBI. A schedule of treatments two to three times per week is typical. Patients have seen significant improvement of their symptoms and continue to do well after the treatment ends, even 2 – 5 years later. 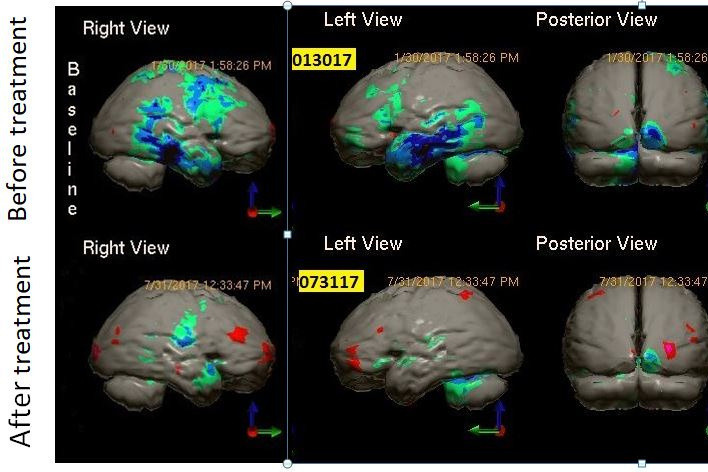 The SPECT scans below show the dramatic decrease in the size and severity of brain dysfunction. Areas of blue, dark blue, and black are areas of brain injury. Notice how much improvement there is in the scan after treatment. However, do not confuse this treatment with what you may have seen or heard about infrared LED (light emitting diode) devices. Some ads tout their LEDs can heal joints and muscles, help weight loss, or even treat TBI. Yet, in our laboratory research we have shown that light from these LED devices do not even penetrate the skin. The light used to reverse brain damage must be a much more powerful infrared light that goes through the skin and skull and into the depths of the brain. The treatment is called transcranial Near-Infrared Light Therapy (NILT). We are seeking funding to support further research of NILT, as well as to provide this TBI treatment for Veterans, First Responders and others, who otherwise would be unable to afford or obtain treatment. Of utmost importance, we want to further understand NILT and possible applications. We are currently raising funds to conduct a double-blind placebo-controlled clinical study of near infrared light laser for the treatment of TBI. We will recruit 50 patients with TBI. Half will receive treatment with near infrared laser and the other half will receive treatment with a sham laser. All the patients will undergo neuropsychological testing before treatment and after treatment. The testing will include self-assessment instruments, as well as established psychological tests for depression, cognitive function, anxiety, and other measures. All patients will receive a functional brain scan before and after treatment. The total budget is $980,400. Be a part of helping to create a new life for people in need. -- Terry, (returning veteran after receiving the NILT treatment in the clinical trial, published in August 2015). -- TU (Registered Nurse, Off work for 8 years, due to auto accident. She is back at work). *** “ I have a great new job... back with my husband.” – BK (Injured in auto accident— had cognitive problems, headaches, depression, sleep problems, felt suicidal, & couldn’t work). Multi-Watt transcranial NILT is showing promise as a revolutionary new treatment for depression, as well. 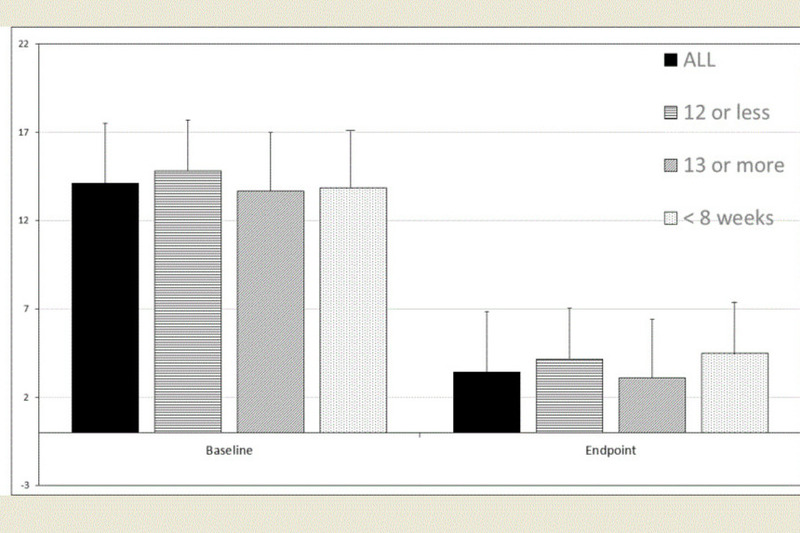 This graph shows the dramatic reduction in depression in as little as eight weeks. Just two hours until showtime!! Don't miss the feature of Neuro-Laser Foundation's work on The Doctors show today. check local listings for time and channel. Our work in treating not only TBI, but depression as well, will be featured on The Doctors Show on Tuesday September 25th. The show airs on Ch3 in Denver at 1:30 PM, but check your local listings for the air time in your area. The Doctors' Show will be featuring our work in the treatment of depression! The show is set to air September 25th. Look to your local listings for times and channels. Our work is being covered by a national television health show! Stay tuned to learn which and when it will air.